Howdy, folks! Well, with the Oscars now behind us it’s time I reveal my favorite films of 2014. I saw more films from last year (90 total, thanks to some January/February binge-watching) than any year prior, so I think I have a pretty good survey of the past year in cinema. To be considered for this list, films needed to have a United States theatrical release in 2014 (so you may see some films that had original festival premieres in 2013). You will not see films like Timbuktu, Tangerines, Wild Tales, or Mommy because they only received a U.S. theatrical release earlier this year (trust me, I will be considering them all for my 2015 list). 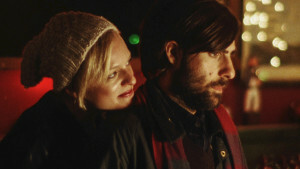 Alex Ross Perry’s fiendish tragicomedy may have rubbed more people the wrong way if more people had actually seen it. 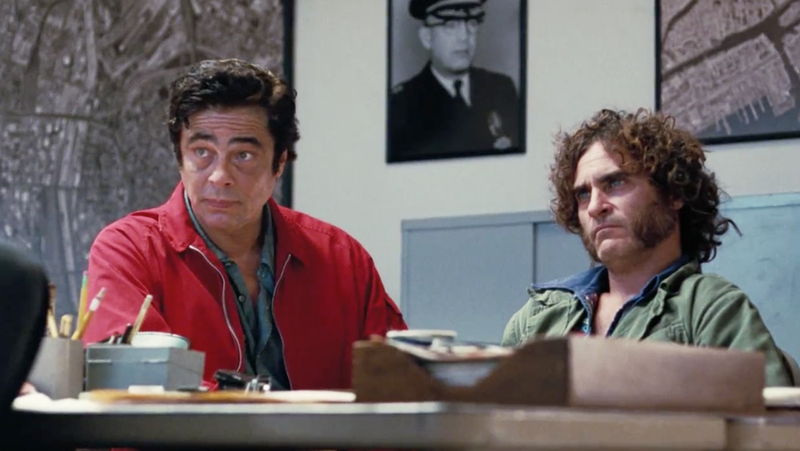 It’s full of whip-smart insults (most courtesy of Jason Schwartzman’s Philip) and Eric Bogosian’s oppressive voice-over work, which superficially describes its characters’ feelings. But the film slowly starts to reveal its intentions, with those cruel barbs sounding less like insults and more like desperate defense mechanisms. And the voice-over doesn’t describe events exactly as they unfold, but illuminates how these characters write their own psychological narratives. Perry shifts focus beautifully from character to character, telling a surprisingly humanist story despite the omnipresent verbal cruelty. If you’re going to make movie based upon a children’s toy, it had better be as endlessly clever and gut-bustingly hilarious as this one. 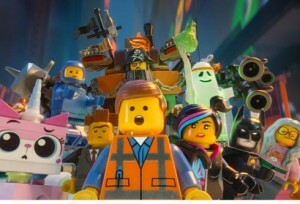 Starting with a typical “chosen one” storyline, writer/directors Phil Lord and Christopher Miller proceed to deconstruct every element we expect from animated family films. 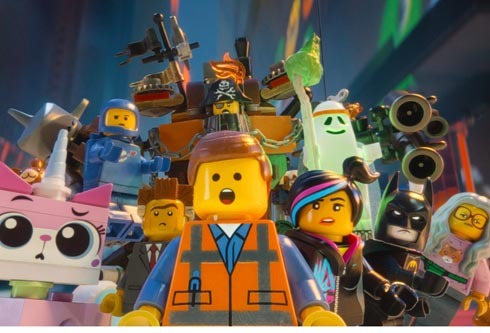 As funny as it is (thanks to some exuberant stop-motion effects), the film boasts astonishing thematic complexity: individualism and conformity both have their place in accomplishing great things. Most American live-action films only dream about the comedic potentials unlocked by the superb animation on display here. You could say Ira Sachs’s gem of a film tests the bonds of love, romantic and familial, against the scourges of reality. After Alfred Molina’s George loses his job, the newly married couple must battle the New York City real estate market in their search for a new, cheaper apartment. It also means they must live separately for a time, and adapt to the lifestyles of their new hosts (and their hosts must do likewise for them). 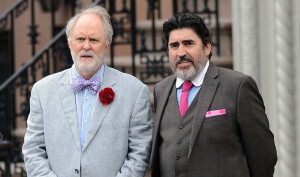 Molina and John Lithgow do beautiful, understated work as couple who have lived, loved, and lost in 40 years together. Sachs shows an expert sensitivity for all his characters, all of them struggling to find (or keep) a meaningful connection. 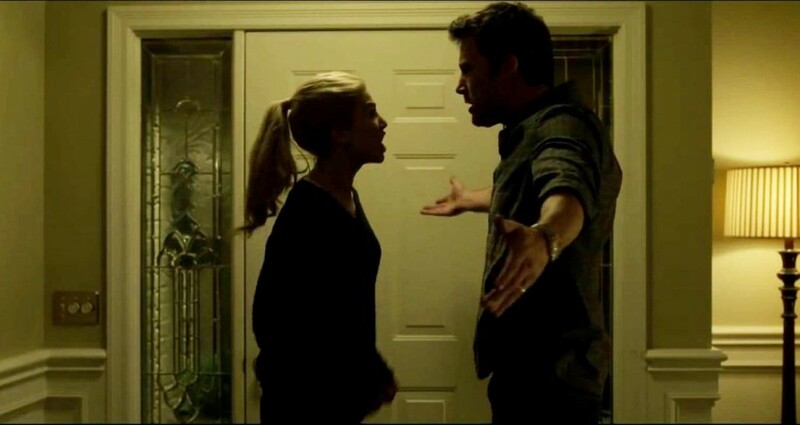 David Fincher brought his exacting directorial style to Gillian Flynn’s nasty little shocker of a noir. Despite the mystery at its core, Fincher and Flynn approach the material with a thoroughly comedic edge. They question public perceptions of truth with spot-on media satire and shockingly good turns from Tyler Perry and Neil Patrick Harris. Of course, Rosamund Pike is the real star here, a classic femme fatale with perverted notions of marital bliss. Yet the film has us constantly rethinking her motives well after we’ve left the theater. Amy is a psychopath for sure, but not a simple one. Continuing with my theme of marital black comedies, Ruben Östlund’s exploration of masculinity and familial duty threatens marriages everywhere with its clear-eyed honesty. 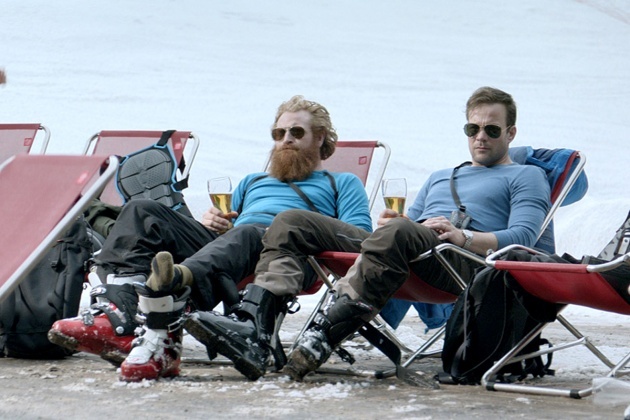 Set during a family vacation in the French Alps, the film examines the fallout of the patriarch’s less-than-heroic response to a controlled avalanche. Östlund has such a thorough understanding of the unspoken anxieties in family dynamics, rendering them in rollicking passive-aggressive exchanges. Even the stark whiteness of the ski resort feels like a ubquitous presence, threatening and judging those who avoid their consciences. It may just be the best film ever inspired by a viral video. Pawel Palikowski’s searing drama combines the oil-and-water road movie with the formal technique of a Bergman film. Set in early 1960s Poland, a young nun-in-training named Anna is summoned to meet her aunt just before taking her vows. Meeting her fiery relative, Anna learns about her Jewish heritage and embarks on a journey of dark discovery. Thanks to a literate script by Pawlikowski and Rebecca Lenkiewicz, the film resists any smidgen of sentimentality as the two women develop a profound bond with one another. Its cinematography straddles the line between classic and modern, making the film feel historically grounded with the immediacy of the present day. No film this year made me squirm in my seat more than Dan Gilroy’s brazen first feature. Detailing the triumphant rise of a freelance videographer, it sees Jake Gyllenhaal completely shedding his Hollywood good guy persona in pursuit of the best footage for prospective news outlets. Gilroy shows just how thin the line between “worthy news” and full-on exploitation is, especially when you hand the reins to a sociopath like Louis Bloom. Yet the film addresses these ideas while increasingly upping the ante—you want to see what Bloom will do next, even though you know it will likely be horrific. Not since Michael Powell’s Peeping Tom have I seen a film that so thoroughly explored the destructive nature of the camera. Guaranteed to either win you over or lose you completely, Jonathan Glazer’s exuberantly creepy art film had me hooked right from the Kubrick-inspired opening sequence. Scarlett Johansson plays the alien emissary whose apparent mission is to harvest human bodies for some unknown, extraterrestrial purpose. But as her role involves interacting with human beings, things become…well, complicated. Glazer and his cinematographer Daniel Landin make Earth seem otherwordly, putting us firmly in Johansson’s predicament. Deliberately paced and relying heavily on images over words, the film delves into what it means to be human, and what it means to appear female by social and visual standards. Despite its sci-fi trappings, the horror of Glazer’s film resides strictly on our own planet. Richard Linklater’s twelve-year epic has the amazing power to feel both unapologetically specific and gracefully universal. Despite the amount of years that pass, the film is edited in a way that feels seamless, perfectly simulating the relentless flow of life and memory. So much more than a series of pat observations or aimless meandering, Linklater hones in on specific moments of life, making them more significant to the viewer than to the characters. And what moments! Linklater and his actors have a real knack for navigating multiple motivations and subconscious power-struggles in the most banal situations. The film’s spare but considered visuals (including a sunlit canyon in the film’s conclusion) dazzle but never distract, finding beauty in the seemingly mundane. Full disclosure: the first time I saw Paul Thomas Anderson’s latest film, I left the theater completely baffled. It was unlike any film I had ever seen (including all of Anderson’s own! ), a thicket of plot details and whispers of conspiracy I struggled to put together. Set in 1970 Los Angeles, we follow hippie P.I. Larry “Doc” Sportello as he tries to help out an old flame. But the film reveals itself not as a detective story, but a distinct character and mood piece, where everyone and anyone might be responsible for the mysterious crimes. A second viewing crystallized the film for me as the year’s best, with its commitment to atmosphere, its richly drawn and performed characters, and its artfully vague historical implications. 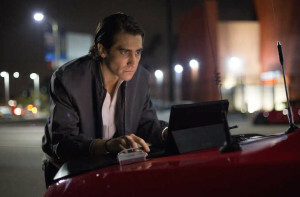 With Vice, Anderson has accomplished a masterpiece of film noir absurdism. I realize few will share my love for it, but there’s no other film from 2014 that has affected me so profoundly. I can’t wait to rewatch and get lost within its smoky corridors once more. Well folks, there it is! Thank you for reading my picks. Let’s see what 2015 has to offer.